Safety for you and your loved ones is of the highest priority. 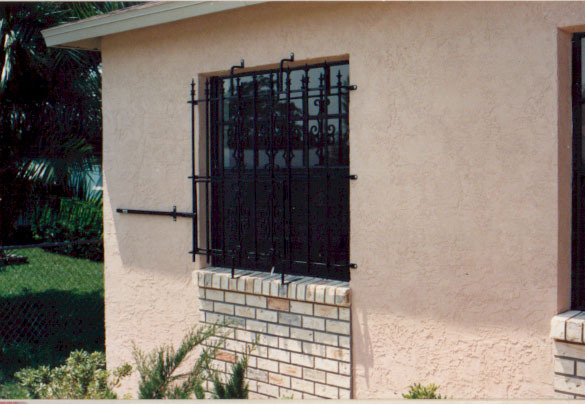 The picture below shows a "Quick Release" window guard design. By a simple pull of the safety knowb inside the home, the bottom half of this guard will release open like a door. this allows the occupant to escape in the event of an emergency such as a fire. Most local codes require one fire exit window in each occupied bedroom that does not have at least two other means of egress (exit).